← Society Ladies’ Lunch… Pearls & Crimson Lipstick Required. What a beautiful article. Thank you so much for mentioning my husband Doug kroll. You and his other customers meant so much to him and he’s very grateful to have been part of such a wonderful and artistic community. Thank you Eileen. Me and many, many others wish Doug all the best now and in the future. He often went out of his way to help, especially with newcomers and having a friendly face in uncharted waters certainly made a positive difference! I will miss the magazine very much. But they were encouraging us to renew subscriptions almost until the last minute. I sent a check for a two-year subscription in July, and then got addled (lots of family crises) and sent another check for two more years! When I realized what I had done, I didn’t care, because I expected to subscribe forever. Then I heardaccidentally through the grapevine that they are closed. Their phones are not answered, though they have not changed their answer message. I don’t want to think their intention was to cheat their loyal subscribers. They owe me roughly $250. I’m sure there are others who have also recently renewed. If anyone knows any recourse for this, I’d appreciate knowing about it. I finally finally decided at the last minute to enter the Antique Shops contest due August 15 and had to send my entry priority mail. I could not believe it when I got the envelope back marked “Refused.” I was able to contact the editor after wondering what had happened. I will not understand it if the magazine cannot find another publisher. It will be a shame as I imagine everything is in place to start again. If there is anything anyone can do, please let me know. I was and am a huge fan of this magazine. It introduced me to the world of miniatures, which filled a huge void in my life. Losing my mom at much too young an age, I was lost and this hobby became a lifelong passion. I am still inspired by articles in the magazine, and still refer to it many times when I need information or inspiration. I am working on a whole Edwardian town, which I hope to finish in time for Christmas, and was just referring to the December 2001 issue for Christmas Traditions to help you accessorize your dollhouse. I subscribe to other miniature magazines, but this one was by far my favorite. Thank you for so many years of this wonderful publication. You have taught me so much, and I am grateful for it. So sorry Miniature Collector has been discontinued under such sad circumstances. My prayers are with the lady who had such a bad accident. As I’m in the middle of my years subscription I’m hoping for a miracle for her and for the magazine. Please let me know if there is any progress on either. It was nice to finally find out what is going on with my Miniature Collector. I’m sorry that someone was hurt, but I am out almost 3years subscription cost. I really miss this magazine, I have been a subscriber for many years. I renewed a gift subscription for my daughter for two years, and my own for another year. I hope that someone will tell us what’s going to happen. I am sorry about losing this magazine, since I enjoyed the articles and their commitment to artisans and collectors. However, t I also renewed my subscription, for two years, last September. I did not know they were shutting down and was planning to contact them regarding missing issues. Looks like I am out some money……. Like the comments above, I’m also stunned that the magazine is out of business. I loved the “ordinary people” projects and had subbed a few to be featured. I’ve been emailing the subscription department plus just today the editor about my missing issues since September. That email came back as a failure so I decided to google the magazine. Now I know why I’ve received no answer. So sad. 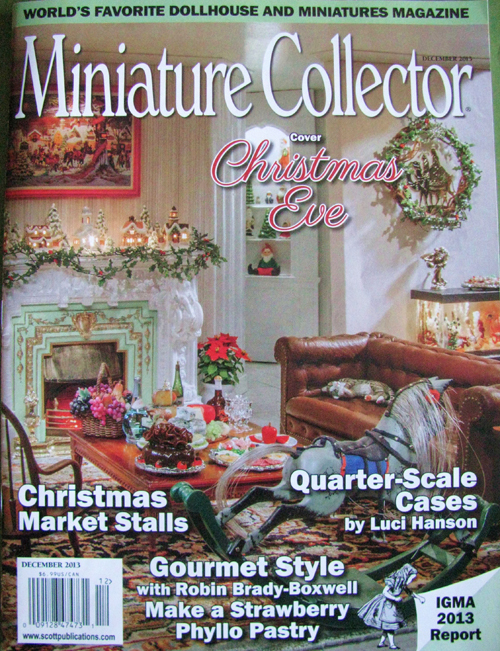 I like “Dollhouse Miniatures” magazine but had considered that a more artisan focused magazine. I guess I’ll re-subscribe to that magazine unless I can find any others. The wonderful owner of Lillyputts in Richmond had spoken to the editor hoping to have my work published in the magazine. I was so excited, and was in the process of sending pictures, when I found out they closed. Broken my heart. My last house is a Wicca house, and is magical. I too paid my 2 years subscription ($79.95) and got screwed, got August and Sept. and then nothing. I hope the publisher gets well, but they owe me about $80!!!! 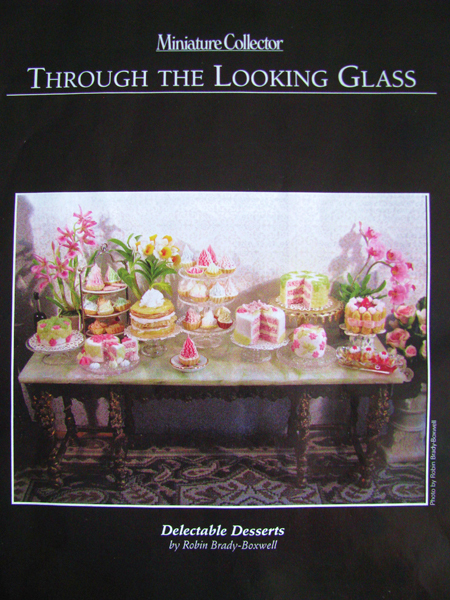 I’m new to miniatures as of lat year and this was was such a wonderful magazine – the best one of all in my opinion! I’m so sad to hear the news that it will no longer be available. It’s the first miniatures magazine that I bought and I so wish that it could be continued with another publishing company. Does anyone know if back issues can still be purchased?